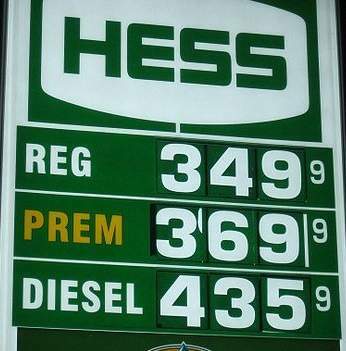 Great news for your wallet: Gas prices dropped this past month and are expected to continue their slide. The drop in crude oil prices today to below $85 a barrel further lubricated the trend downward, echoing last week’s plunge below $76 a barrel. Prices at the gas pump, meanwhile, slipped to a national average of $3.58 per gallon, according to AAA’s Fuel Gauge Report. A gallon of regular gas has dropped 40 cents since early May and over the past year has fallen about a dollar in New England, the East coast and Midwest. Prices have fallen about 87 cents in the Gulf Coast region, 73 cents in the Rocky Mountains and around 60 cents on the West Coast, according to the federal Energy Information Administration. “Some retailers are slow to drop prices at the pump since the market is so volatile at this time. However, consumers should start to see retail gas prices fall even further this week as a result of crude oil continuing to trade below $90 a barrel,” Jessica Brady, of the AAA Auto Club South told one Florida newspaper. If we remember to conserve gas by bundling our errands and driving gently, we will have some extra money to spend this year on Fall outings or holiday shopping.